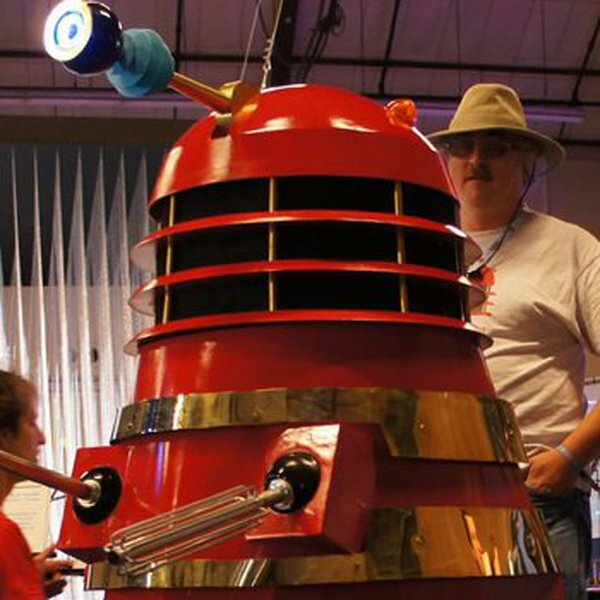 Tinkerer in electronics, metalwork and Dalek invasion prepping. This user joined on 01/14/2017. Building a Pick and Place machine on the cheap, in a repeatable way. Estimated 2832oz/in stall torque, for when regular servos just wimp out. This is a quick hack - an ISP programmer from scrap parts. Connect up to 16 encoders on Arduino or ESP8266 board on the I2C bus! For next Halloween I want a Dalek for "Trick or Exterminate"
Starfish Cat comes from the stars. Or the ocean. Or he escaped from some kind of secret laboratory. We're not really sure. Portable Jenkins job trigger inspired by model rocket launch panels. Unlock required with key, it can manage 3 jobs. Thi is the pick and place machine i have built. There are many ways to make a lampshade based on the TARDIS from Doctor Who. You are about to report the user "Alastair Young", please tell us the reason.